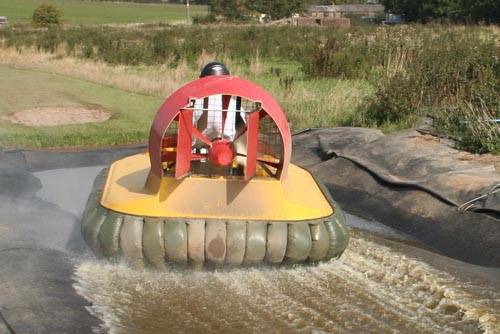 Specialising in stag and hen weekends and corporate days out, Hoverdays, based in Shropshire is an outdoor activity centre in the heart of the UK, boasting some of the best permanent hovercrafting facilities in the country. 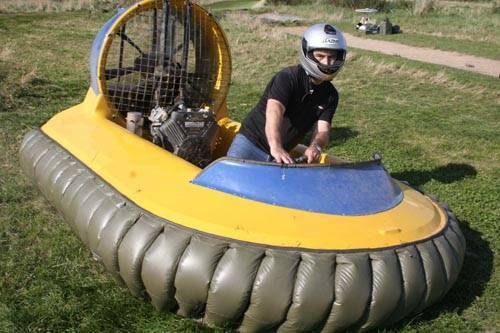 Hovercraft racing is just one of many activities, though it is our real passion and still the most fun thing we do. We are in the centre of the UK, near Shrewsbury. Birmingham, Manchester, Liverpool, Chester and Hereford all within 1.5hrs drive. We also have a very experienced and professional team who will ascertain and then mix key learning objectives for team building into the day’s activities if you require more than just a fun day. 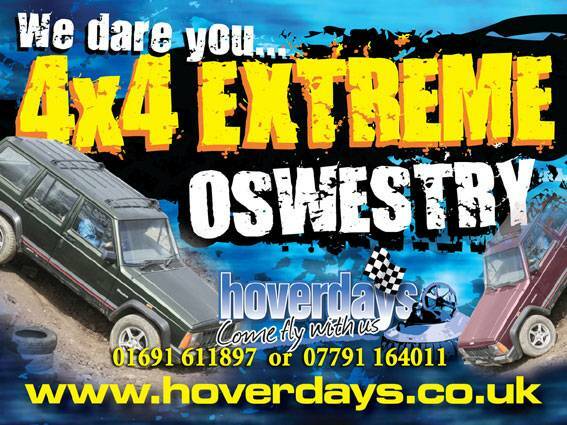 Hovercraft Racing, Segway Experiences, 4x4 Extreme Driving, Blind Driving, Archery, Reverse Steer Driving, Children’s Quadding. 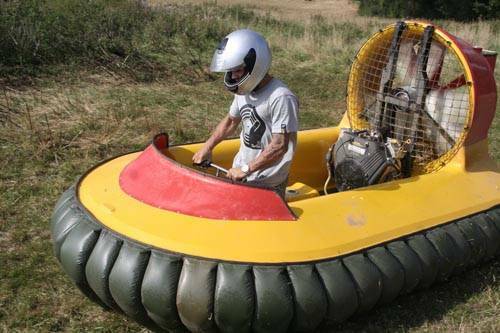 What does hovercraft racing involve? Your group will be given a talk on how to pilot the craft. Then each person will have 2 laps of our 3 minute course. Following each person's practice laps, everyone will have another 2 laps to refine their skills after watching other group members. Finally, each person in the group is invited to take part in a relay race where their times are recorded and displayed online on the Hoverdays leader board. Discover a new mode of transport by taking part in our Segway Experience. 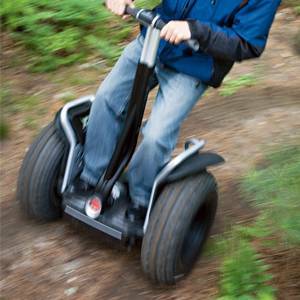 After your initial training session, once you feel comfortable with the basic controls of the Segway, you will then be given the chance to tackle our off road circuit on one of these vehicles. We have tried to make our 4x4 course off road course as eventful as possible. 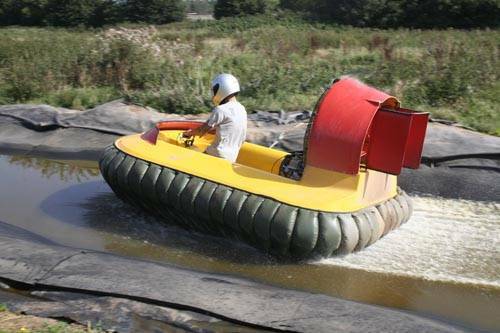 You will drive, sat next to a very experienced instructor and be directed over cars and buildings, through our swamp and over obstacles that you wouldn't imagine were possible. This is the weirdest experience we offer. It is difficult to put the sensation into words - you don't even know whether you are moving or not, it is such an attack of spacial awareness and sensory deprivation. You get to drive round our course with your friend shouting out instruction and then you get to shout at them. Make sure you and your partner both know your left from your right, and your right from your left! Our experienced instructor will give you a 5 minute talk on how to shoot correctly and then walk around each bowman giving tips to improve your technique. 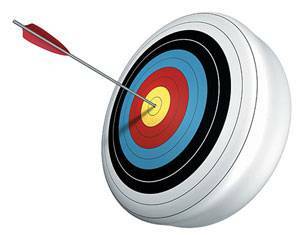 You will receive at least 30 arrows each and will take part in a competition at the end which is always a great laugh. You sit in a single seater buggy and go around a relatively small course. Staying on the course is another matter because it takes a while to get the hang of it, though thankfully you are on 4 wheels and not 2! As you steer left, the buggy snaps to the left and if you are not ready for it, it takes you by surprise every time. 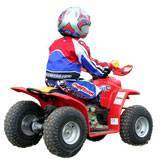 We use 50cc Suzuki quad bikes on an off road course - in fact we have 3 courses! The children progress from one to the other as they develop the skills and confidence required. The final course includes a bridge to go over and under.